Tuk Tuk Hop is an on-demand hop on hop off in a tuk tuk around Bangkok Old Town prime attractions (Rattanakosin, Khao San, Dusit, China Town, and Phahurat areas). You pay once upfront to hop on hop off all day (8:30AM-6PM) between designated meeting points by using our mobile application to call a tuk tuk to each point at their convenience. The self-guided application also contains helpful information of nearby attractions and local restaurants. Watch our videos below for more details. 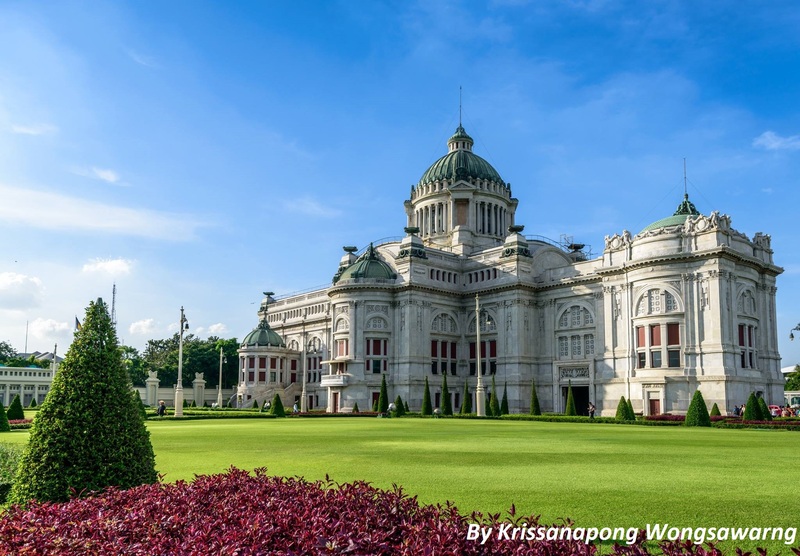 Ananta Samakom Throne Hall was built by King Rama V, but it was completed after his death. During 1932-1974, it was used as the parliament before the new one was built (right next to Ananta Samakom). 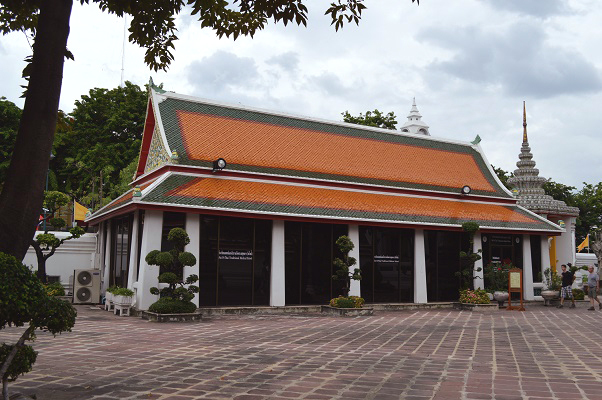 Today, it houses the Arts of the Kingdom Museum showing exhibits from Thai's national artists and others. 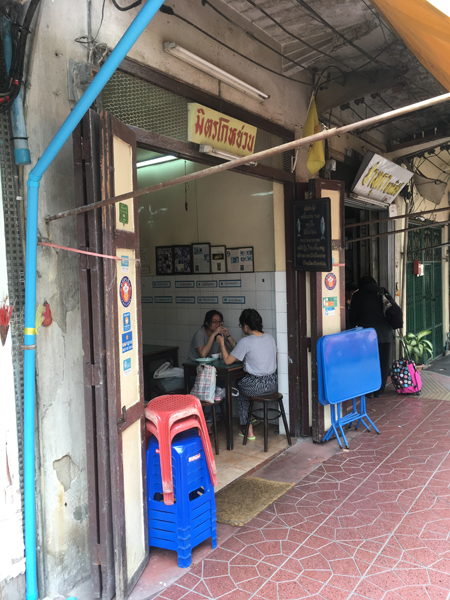 Women cannot wear pants (well, you still have to wear something, you know what we meant) or sleeveless shirt, but you can buy a cloth for 50 baht to cover your pants or your shoulders. Baan Bat is where locals have been crafting monks' begging bowls since the 1700s. The locals still use a traditional method to craft the bowls using only their hands and a hammer. 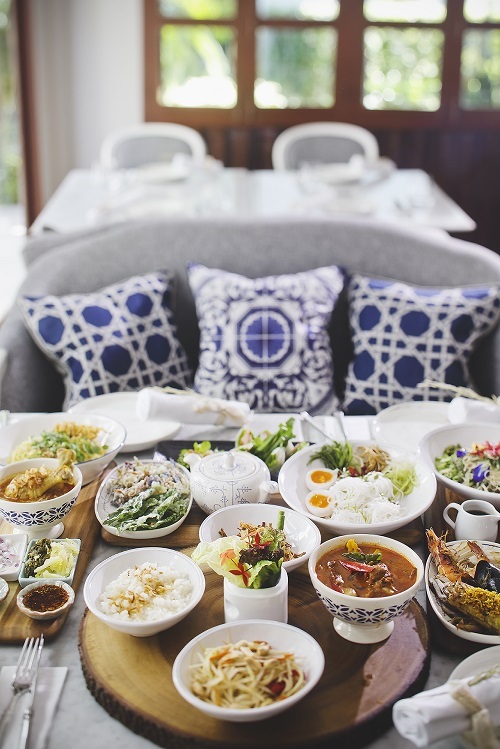 With its traditional atmosphere, Baan Bat has a lot of charming and friendly locals that are always willing to share their experience with visitors. 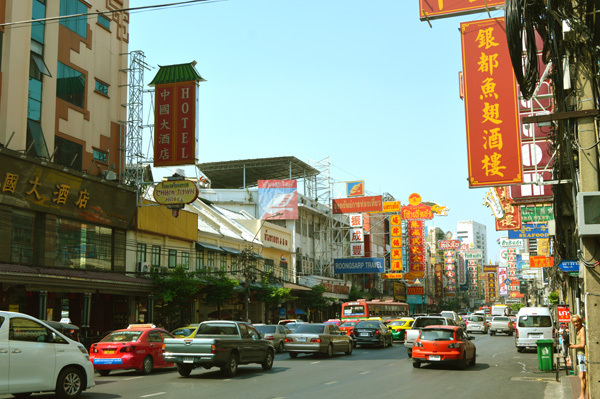 Like many big cities around the world, China Town (Yaowarat) in Bangkok is jam-pack with street foods and Chinese restaurant. 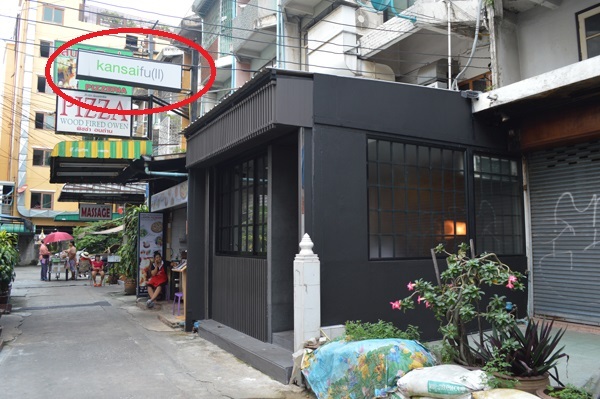 And when I said street food, some of these street food kiosks literally situated on Yaowarat road. 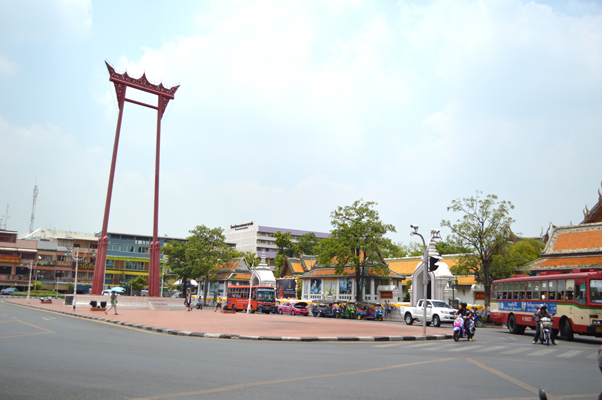 Bangkok City Pillar is believed to house the city’s spirit. 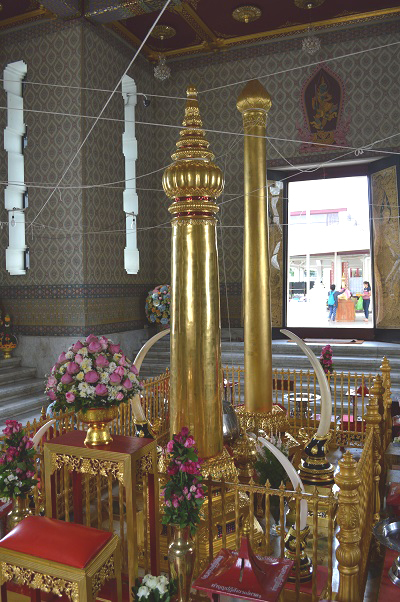 When King Rama I built Bangkok, this pillar symbolizes the first stake that he put on the ground. 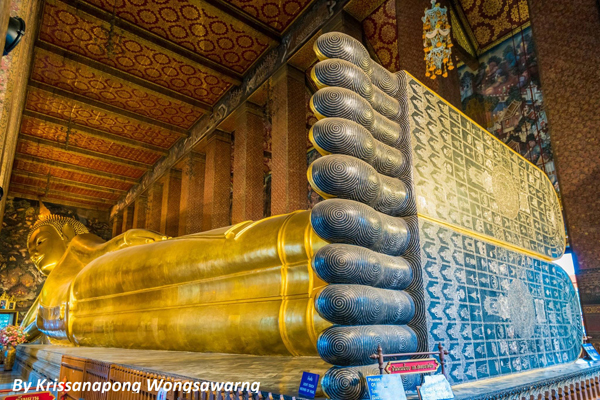 Rumor has it that some city pillars have people buried underneath them, but not this one in Bangkok! Phew…. While you are on Ratcha Damnoen road, note that the lay-out is similar to Avenue des Champs-Elysees in Paris. Most political protests often happen on this road around the Democracy Monument area. 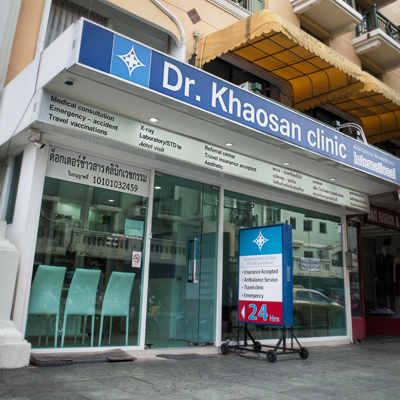 English and Thai-speaking General Practice Clinic, located in Khaosan road (stop #8) with wide range of medical services, Medical consultations (including home and hotel visits),Travel Insurance accepted, travel vaccinations, Minor operation room, Ambulance Service, Aesthetic. Dusit zoo is very kid friendly with amazing value for money. There are wide varieties of tropical animals, including our personal favorite 5 color leaf monkey (Red-shanked Douc Langur). 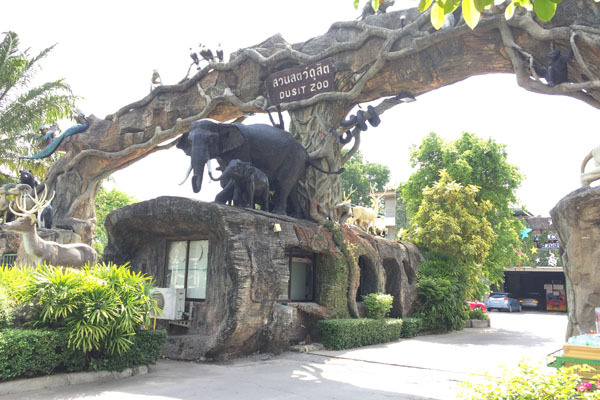 The zoo was built by King Rama V as a royal private garden with small selections of animals. 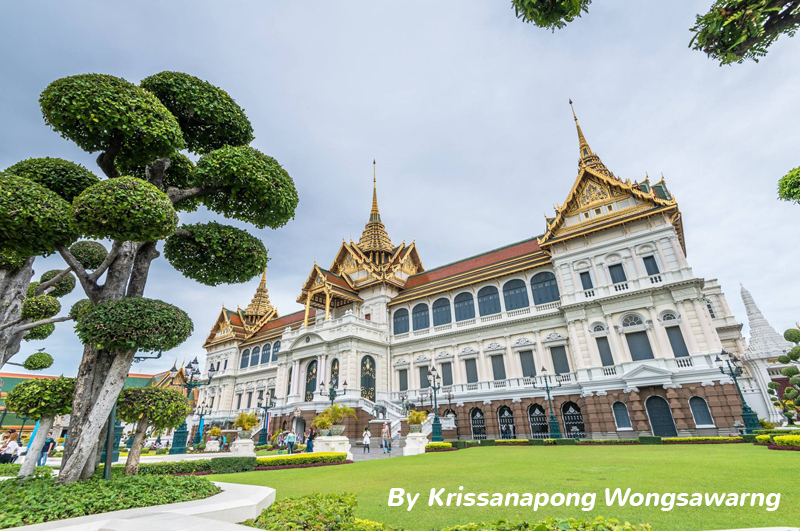 This royal private garden was renovated and opened to the public during King Rama VIII era. 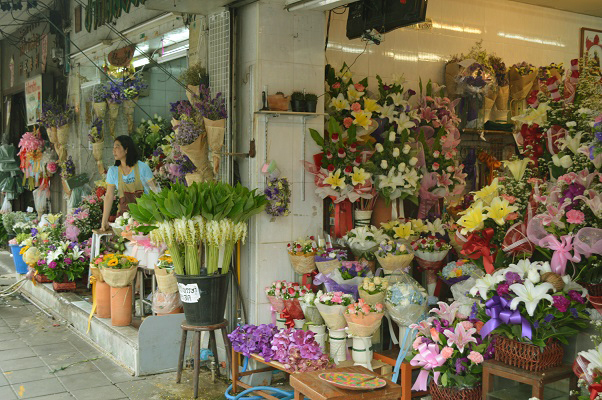 The Flower Market (Pak Khrong Talad) is one of the biggest flower/vegetable markets in Bangkok. This is a 24/7 market where all the chaotic scenes of loading and trading happen after mid night. It becomes more calm and tourist friendly during the day. The Giant Swing was used for the Lo-Chin-Cha (“pulling the swing”) ceremony, which was stopped in 1935 due to several fatal accidents. You will understand why, when you see the size of this swing. 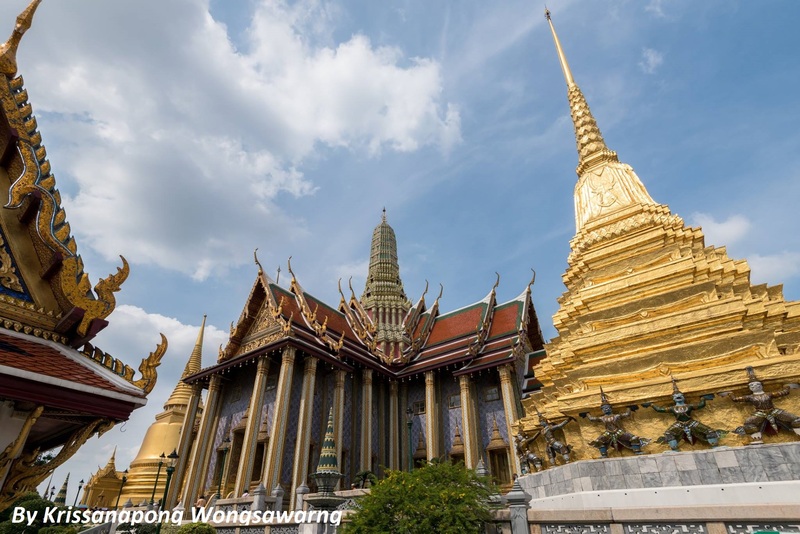 Walk up to the top of the Golden Mount to see the view around the Grand Palace area and Bangkok old town. The waiting area of Golden Mount area is quite chill (literally). 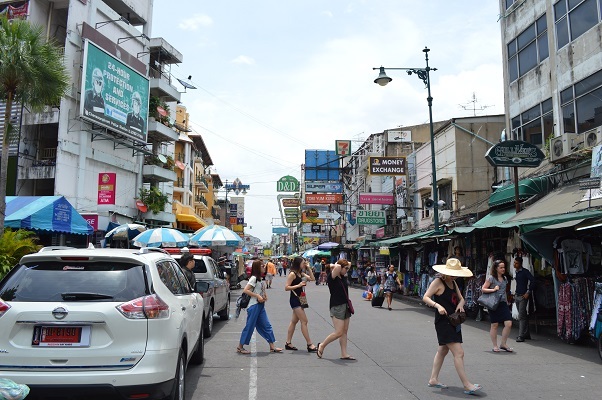 Khao San means rice, and Khao San Road was once the largest rice market in Bangkok. Today, it has transformed into a little tourist town in Bangkok (with a similar feeling to Pattaya and Phuket). 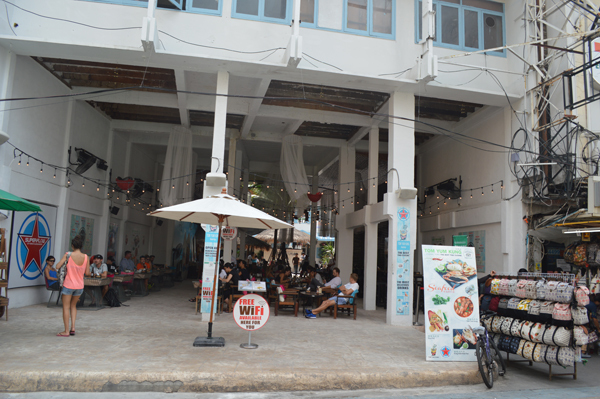 Everything in Khao San Road is geared toward tourists: international food, tattoo shops, clubs, bars hostels, etc. It is worth a visit, even for Thais. 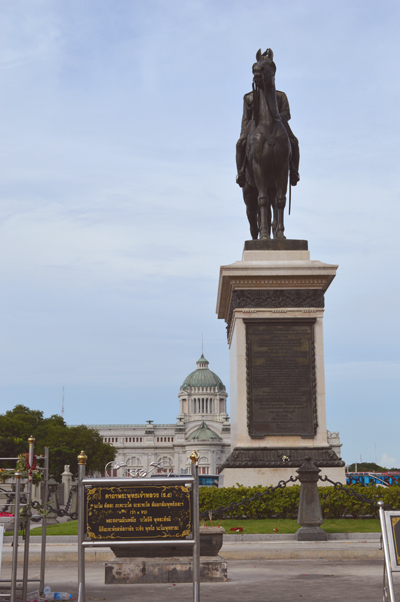 You can see the King Rama V monument and Royal Plaza from the front of Ananta Samakom Throne Hall. King Rama V was one of the greatest kings of Thailand - he founded the first university in Thailand, established sanitary districts, established monthon system (provincial boundaries), etc. The Marble Temple has a unique architecture. It was constructed from the leftover Italian marbles from the building of Ananta Samakom Throne Hall. The marble keeps the temple nice and cool, even in hot weather. You might recognize this temple from The Amazing Race 9. Museum Siam is a relatively new museum with the concept of Play + Learn = Plearn (Plearn in Thai เพลิน = having fun, enjoying the moment). In addition to edutainment, there are many funky/cool art displays throughout the museum. 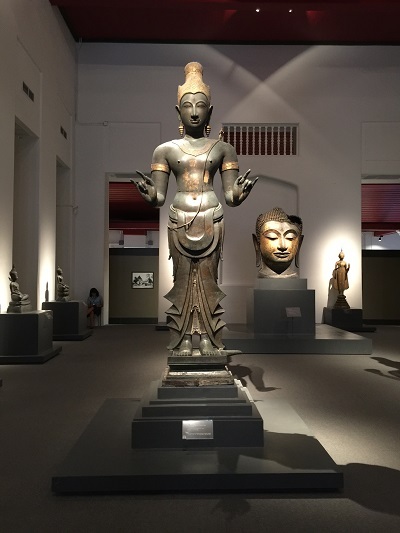 Unlike the National Museum and Rattanakosin Exhibition Hall, Museum Siam is very interactive and engaging. Experiencing authetic Chinese food from ancient Chinese community! What could be better? 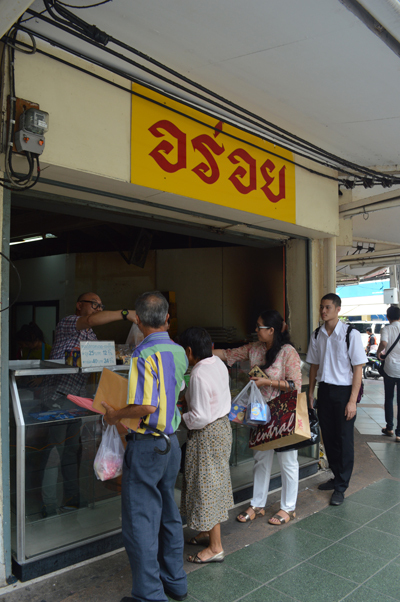 Walking inside Nang Loeng Market you can scent coziness of Thai-Chinese family. Over 20 different dishes can help you make sure you won't get hungry for the rest of the day. 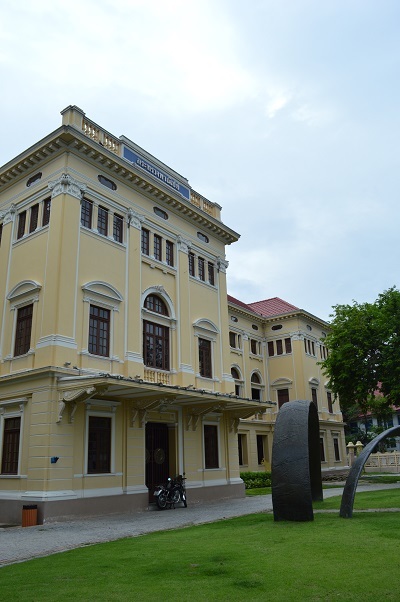 The National Museum has many important artifacts including the first stone inscription of King Ram Khamhaeng and Rama I's chariot. 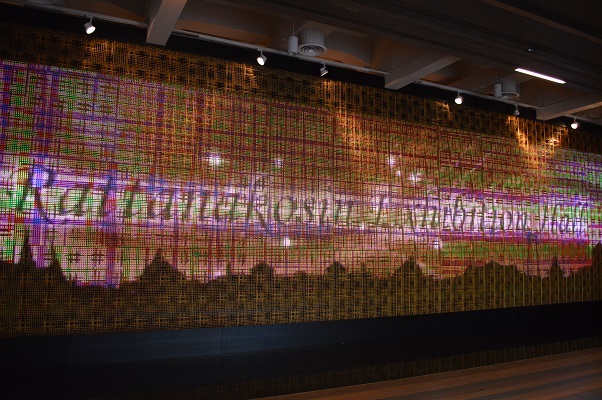 The museum offers audio tours and a free guided tour in English. 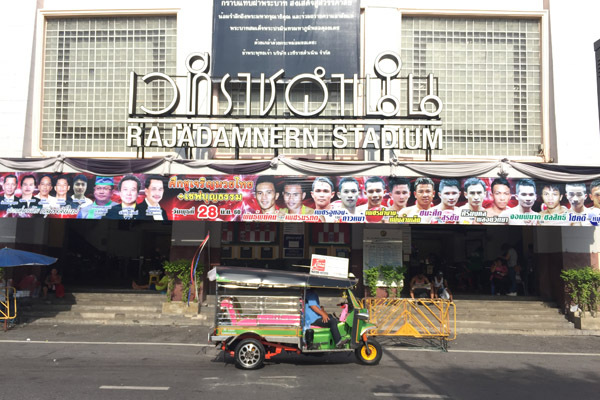 Ring side experience watching live Thai Kick Boxing at Rajadamnern Stadium! See people on the top rows sending hand signals, have a guess what they are doing :) Ticket varies from ring side to 3rd class. 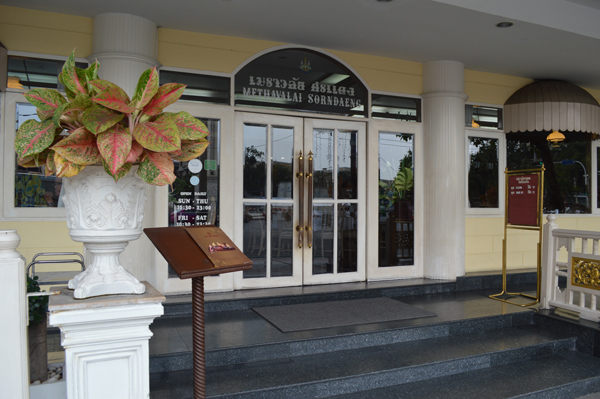 The Rattanakosin Exhibition Hall is packed with high-quality exhibitions. This is a modern museum focusing on the Rattanakosin era (which started when King Rama I (1737-1809) reigned over Thailand). You need to sign up for a two-hour guided tour, which starts every 20 mins, starting from 10AM. Watch live traditional Thai dance show: Khon (Thai Masked Dance) at this historical theater. 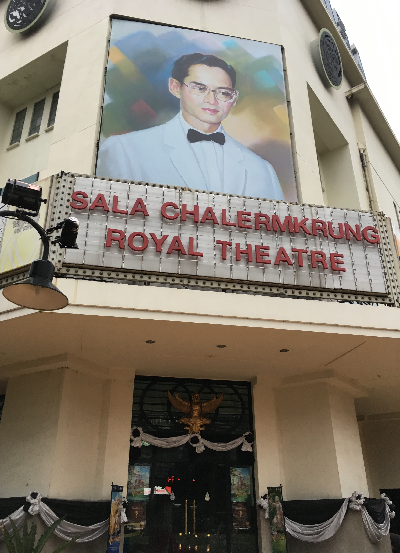 The theatre was built by King Rama VII to commemorate the150th anniversary of Bangkok. This place is a well-loved and well-preserved by Thai people. 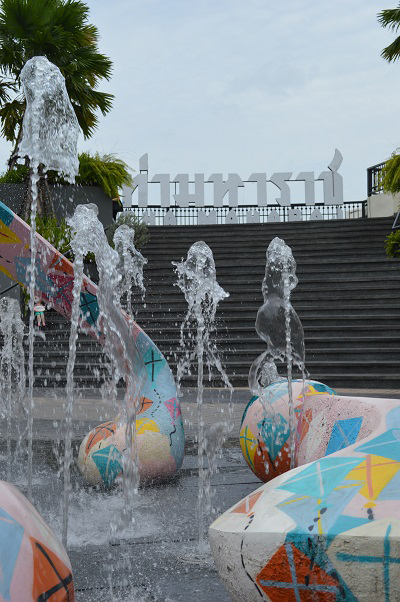 Tha Maharaj is a pier situated between three key landmarks (Grand Palace, Thammasat University, and Silapakorn Fine Arts University). 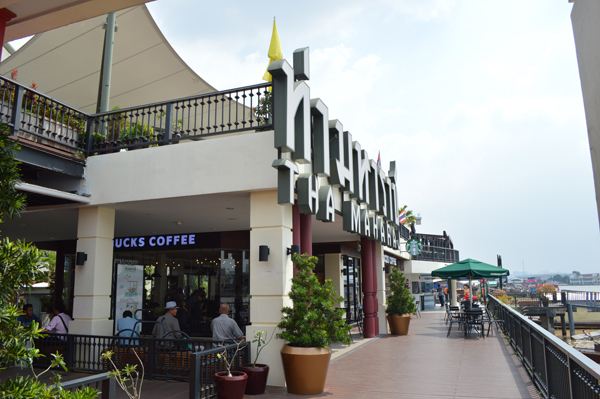 The pier ("Tha" in Thai) was recently renovated and is now packed with trendy restaurants. Also, it’s next to a large amulet market, a unique place to explore. 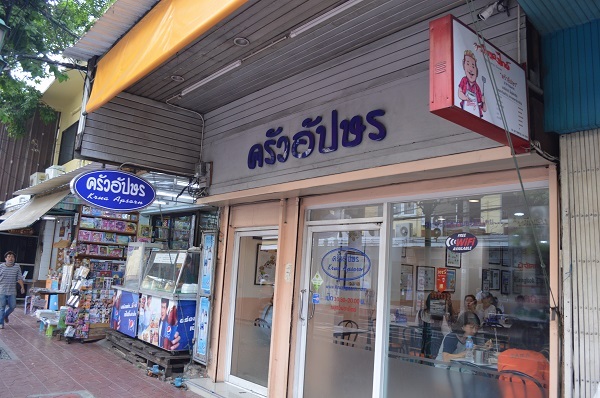 Wide selections of Thai desserts that can be found on the ground floor of The Old Siam Plaza. More interestingly, walk around on Burapha Road, this area is popular for selling guns. 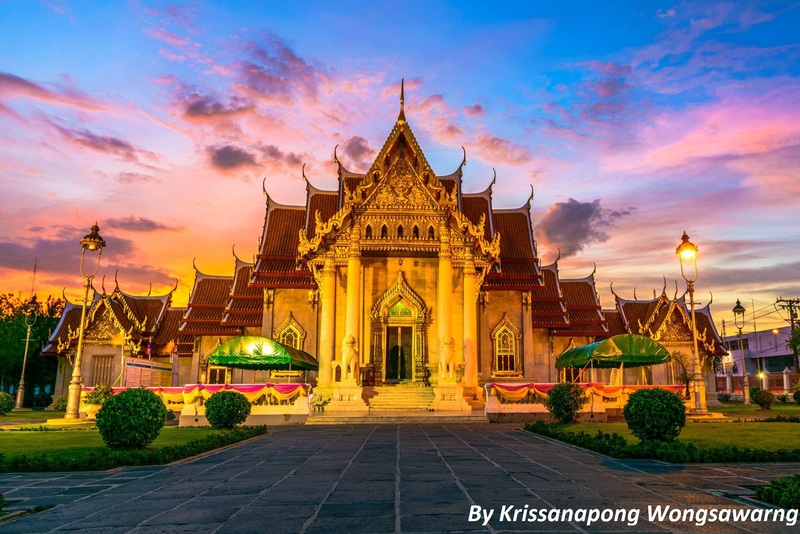 San Chao Pho Suea is the only Chinese shrine located within the walls of Rattanakosin Island and become main places of worship for Thai and Chinese Buddhists. Always get crowded during Chinese new year! Wat Arun (Temple of Dawn) can be easily accessed by taking a crossing boat from Pier #8: Tha Tien. It costs only 4.00 baht to cross (each way). 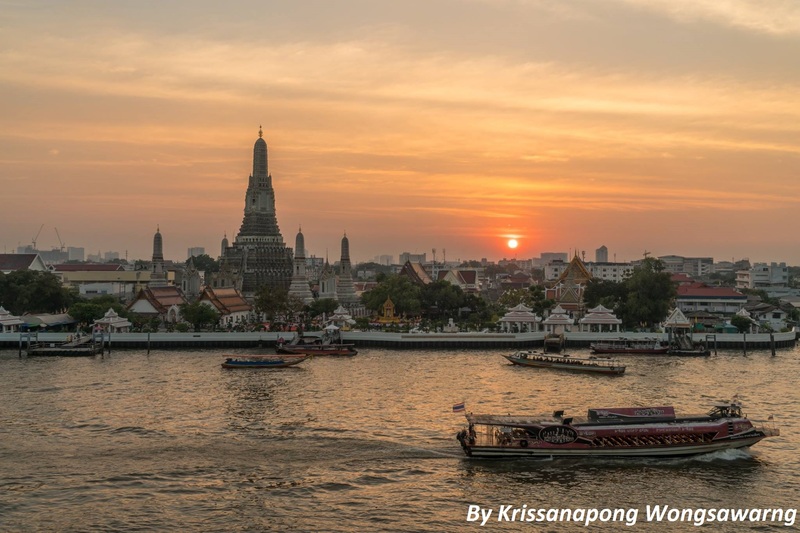 Climb up the pagoda to see a nice view of Chao Phraya River with the Grand Palace as a backdrop, while feeling a nice cool breeze. Yes, those stairs are steep! 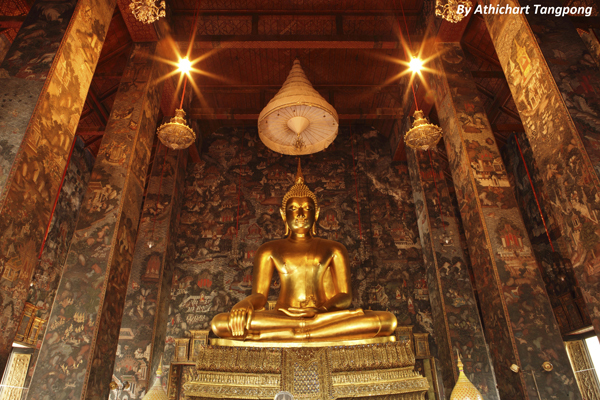 Founded in 1836, Wat Bowonniwet has been a major temple of patronage for the ruling Chakri dynasty. 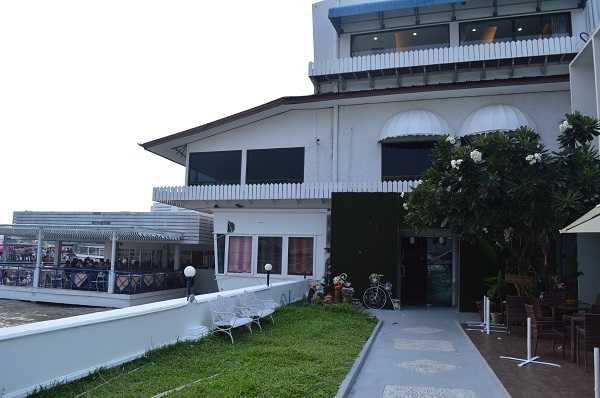 It is also where the late king, King Bhumibol and the present king, King Vajiralongkorn, served their monkhood. 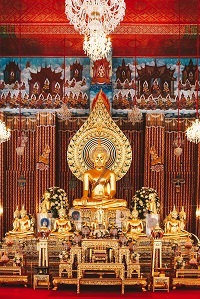 Additionally, the golden stupa at the shrine contains the relics and ashes of the Thai royal family. Wat Chana Songkhram or the temple of victory was built to commemorate the victory of Prince Maha Surasinghanat who defeated the Burmese army 3 times. 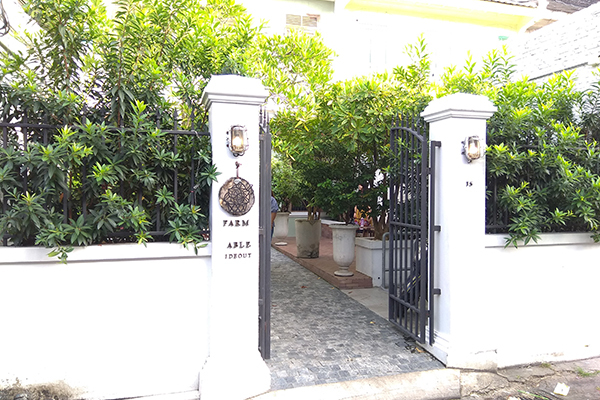 Perfect for foreign visitors as it is located right opposite the famous Khaosan Road. High scam area, please be extra careful when friendly stranger approaching you. 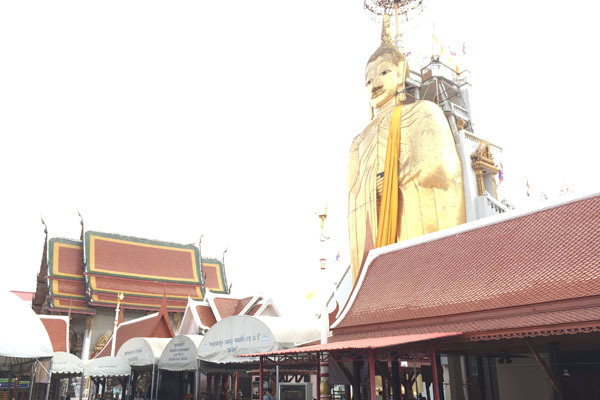 Scamming aside, Wat Intharawihan (Wat Int) is well-known for its large standing Buddha (Big Buddha). 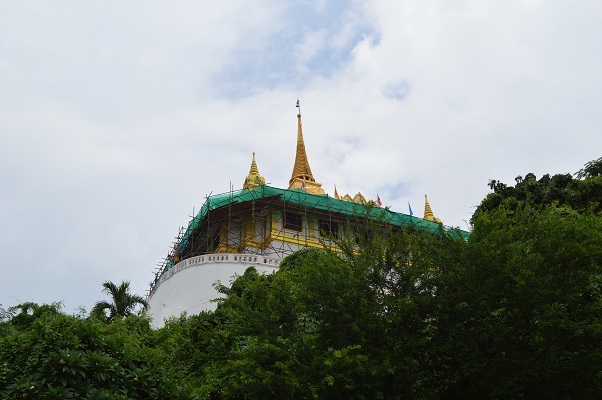 This 32 meters (105 ft) height is often referred to as Luang Pho To, who initiated this project in 1867. The temple itself was built before Rattanakosin era. Wat Ratchabophit is probably one of the most beautiful temple decorated in traditional Thai architecture and Western-style interior. 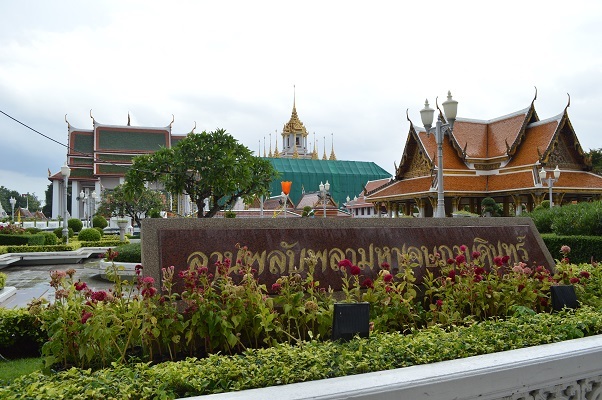 The Royal Cemetery where the ashes of high-level members of Thai royal family also stored here including our late beloved King Rama 9. Wat Suthat is a royal temple of the first grade, built by King Rama I; thus, it is one of the temples that has been with Bangkok since the beginning. 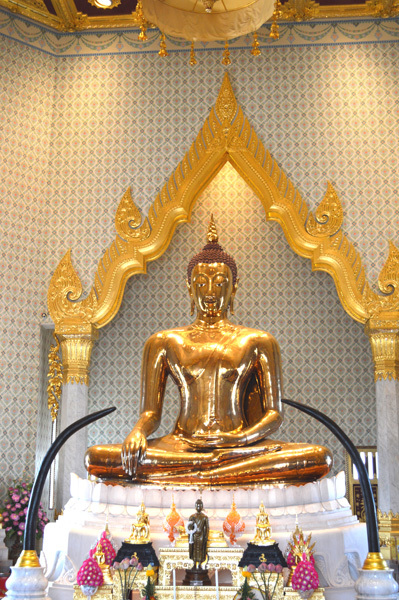 Wat Tri Mitr is well known for Golden Buddha (Phra Phuttha Maha Suwana Patimakon. This 5.5 tons golden statue was once hidden under thick layer of stucco to prevent it from being stolen for nearly 200 years! 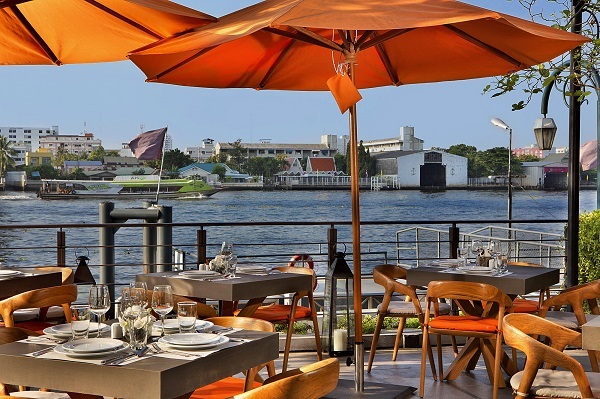 Enjoy a "Twist of Thai Cuisine" while letting the view take you away. 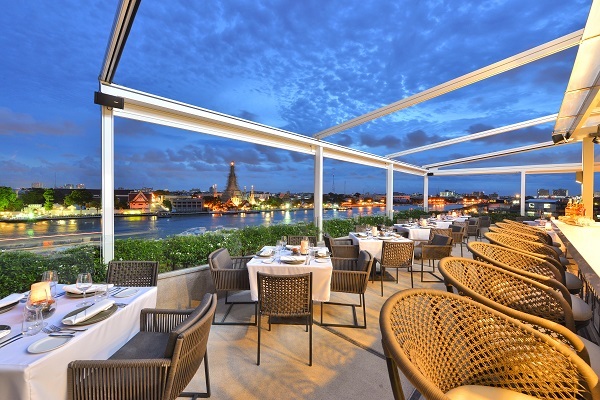 Located on the roof of the Riva Arun hotel, Above Riva restaurant has a breathtaking view of Wat Arun, Wat Pho, and the Grand Palace. Reservation is required for weekends. Another local favorites for Organic Cafe. 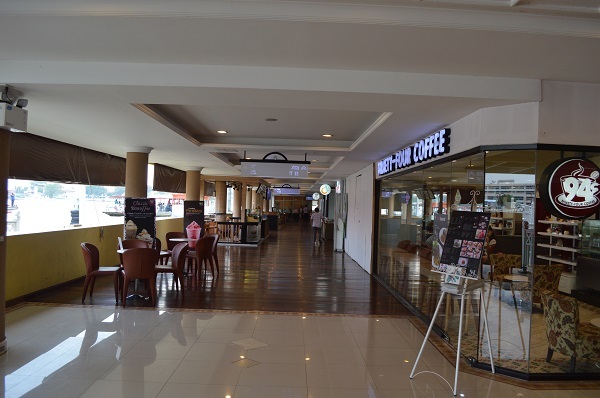 Wide selection of drink menu and desserts. Also serve main courses, albeit with few selections, but freshly made. 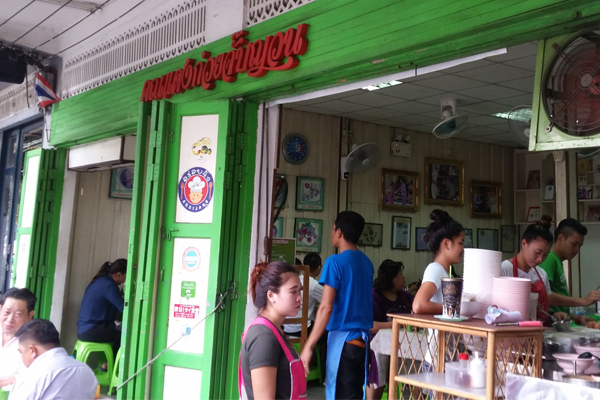 Krua Apsorn is another local favorite with home style cooking. Don't expect fancy decoration, but you can expect tasty foods. This place is often jam packed with locals and you may find a lively, chaotic scene. Methavalai Sorndaeng Restaurant is another local favorite that has been around for a long time. 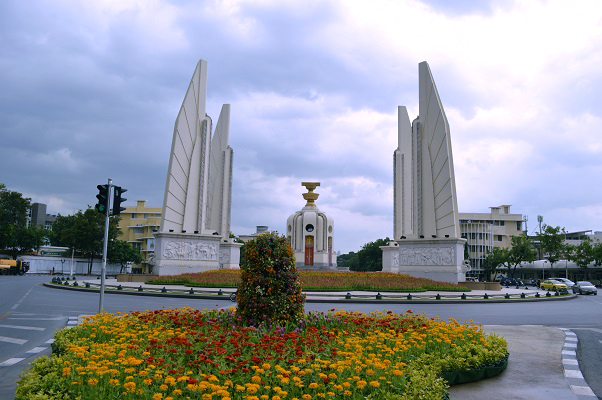 The building and its decorations are of traditional Thai style and it sits right next to the Democracy Monument. Mit Ko Yuan is a local favorite that has been around for a while. You can order anything from basic Thai food (Tom Yum Koong) to beef salad. 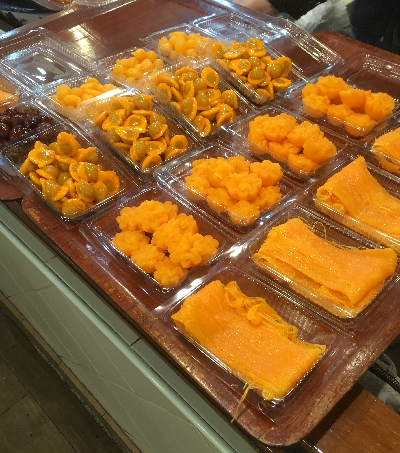 Variety of street foods with nostalgic atmosphere. 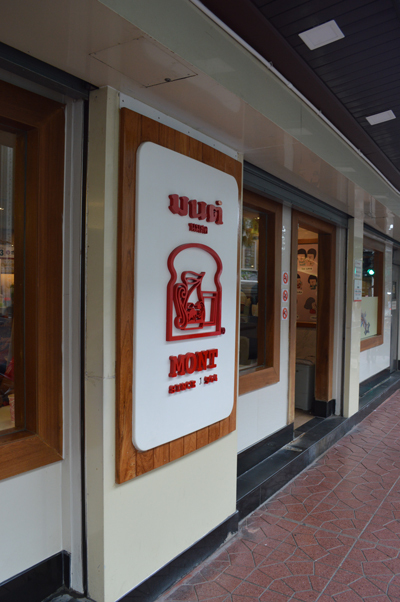 Garlic bread, Thai style, enough said…. 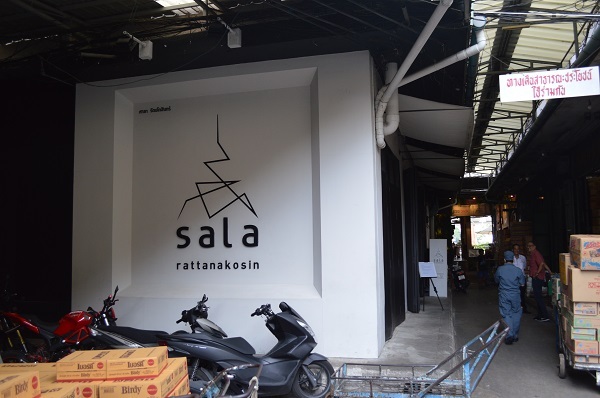 Look for the sign that says "อร่อย (R-Roy)"
Situated inside the Sala Rattanakosin hotel, The Eatery and Bar is well known for its good food and an amazing view of Wat Arun across the Chao Phraya River. More than 45 years of serving authentic Thai cuisine, with inspiration of "Fresh and Delectable". 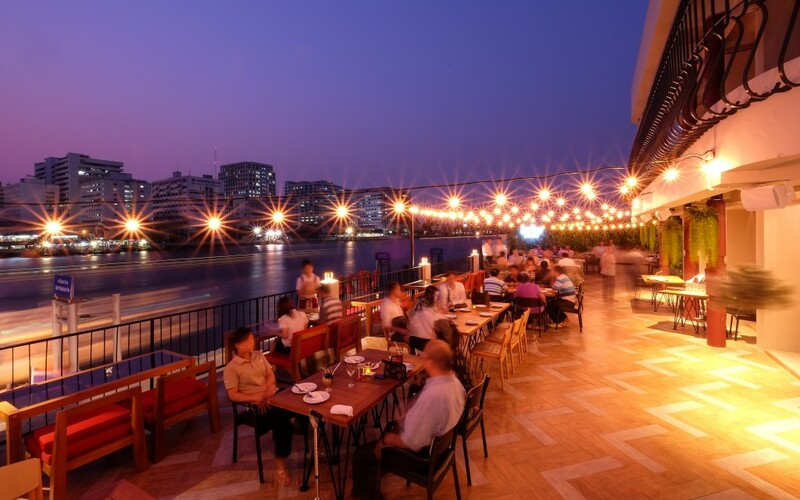 Try Savoey’s signature spring rolls, while sitting outside to enjoy the view of Chao Phraya River. 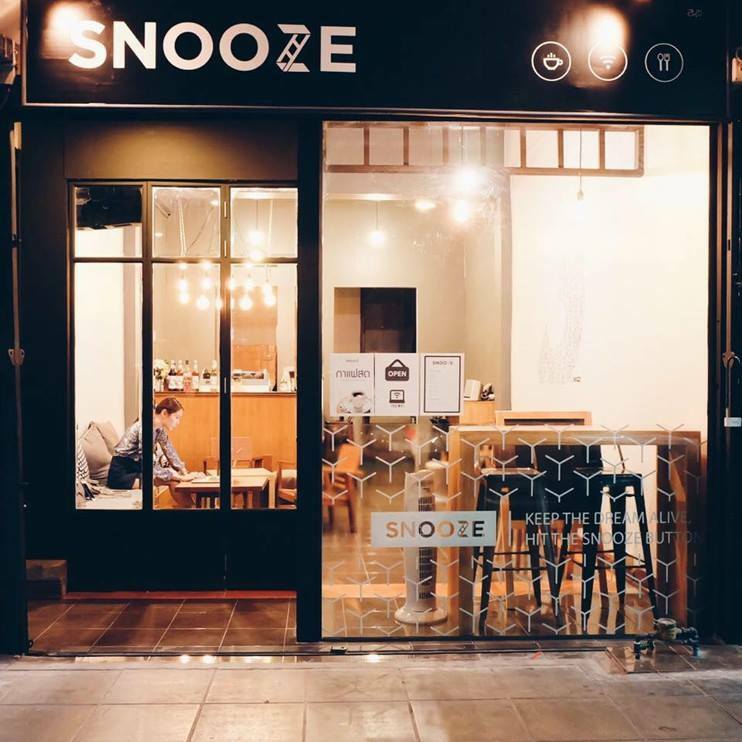 Hit your snooze button at Snooze Coffee House. This is the place for coffee and all-day homemade western breakfast! Also, vegetarian friendly. Swing Bar is a rooftop bar of ChingCha Bangkok Hostel, where you can chill out and enjoy local craft beers, cocktails and Thai dishes with great views of Giant Swing and Golden Mount. Tha Maharaj is jam packed with restaurants, coffee shops, and dessert shops. 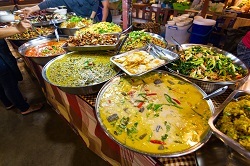 You can find various cuisines to fit your budget. Tom Yum Koong Restaurant has a nice outdoor area, as well as air-conditioned room. Well, what to order… Tom Yum Koong (Thai shrimp soup) of course! Rest assured, our tuk tuks only serve Tuk Tuk Hop customers and there are no side trips to any stores. We greatly value your time and will only take you to any of our designated meeting points of your choosing. All of our drivers undergo a screening process and we continually monitor their performance to maintain their high standards. All of our tuk tuks are also equipped with a GPS tracking device. We also work with Thaivivat to provide additional insurance for all of our customers at no additional cost. If you don't have a SIM card with data plan, we have pocket Wi-Fis for rent at 49THB/day. Please contact us if you need one. If you choose to rent one, you can pick up the pocket Wi-Fi from the driver on your first trip and return it to the driver on your last trip. However, getting a SIM card in Thailand is very easy. There are many local SIMs with Tourist package that you can buy at the airports or the 7-11 stores, such as dtac , AIS , or true. Price starts ~200 baht/week. 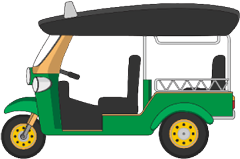 You can start Tuk Tuk Hop from any of our designated pickup points. We also offer pick-up &	drop-off service for a small additional fee for hotels/hostels in Phyathai, Siam, Silom, or Sathorn areas. Or if you travel by BTS, we recommend you take the boat from BTS Taksin to Tha Chang. You can read our blog on “connecting with our service” for more details. We try to position the tuk tuks as close as possible to our customers but they may not always be able to wait at your last drop-off point due to traffic regulation. If you are concerned about long waiting time, especially during high-traffic period, please feel free to book 10-15 minutes in advance. Secure online payment through a reputable third party Omise. Just choose "Pay via credit/debit card"	option when making the payment either on our website or in our mobile app. We do not have access to your credit card information as they never pass through our server. Pay cash at our sales office at Tha Maharaj. Pay cash to our tuk tuk driver on your first trip. Pay cash to our partner hotels & hostels (where you can also find our brochures). Many temples and palaces have strict dress code. A simple rule to follow is to cover your shoulders, belly, and knees. Just dress to impress your grandma. Share = You may have to wait (likely less than 10 mins) for other passenger(s) to join you on each trip. Not share = You will not be ride-sharing a tuk tuk with other passengers but each tuk	tuk is not exclusive to your group. We may still provide you	with a different tuk tuk for each trip. 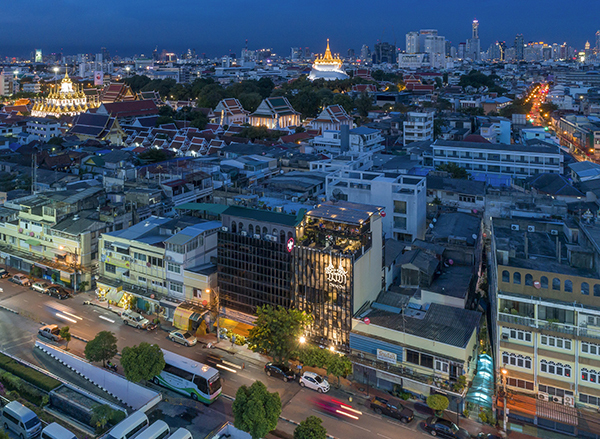 Zipping through Bangkok highlights in this coming festival season. Book now for 8% off with promo code SL2802. This is an agreement between you (the customer) and us (the company: Urban Mobility Tech Co. Ltd. registration no. 0105559131414). You must be at least 18 years old to make the purchase and to use this service. Children under 18 years of age must be accompanied by an adult of 18 years or over when using this service. Our company provides a technology platform as a service for connecting you with other third party transportation providers by providing you with the ability to hail third party vehicles and supplying you with information on the drivers, the tourist attractions, and on the appropriate pick-up and drop-off points through the use of our application. We do not provide the transportation. · You will use your pin on only one device and with the same group of travelers. The number of travelers allowed depends on the package you purchased. You may not share this service with other users beyond your original traveling group. · Our service is available at predefined times and dates. Please check our service availability in the app. · Your group may have to share the vehicle with others. · We are not responsible for any delay in our service caused by internet, mobile service problems, or your mobile device. · We are not responsible for any delay due to traffic. · Estimated arrival times and walking times are for guidance only. · We reserve the right to delay or stop the service if we deem any situation to be unsafe. · We reserve the right to provides alternative transportation if the situation is deemed necessary. · We do not store your credit card information. · We use your location information for safety reason and to improve our service. We will only collect your position information when you use our service (login with pin). · You agree to provide accurate information and we will provide service according to the information that you provide. · As long as we do not violate your privacy, you give us permission to use your positional data in aggregate form (positions only, we do not map positions to names or identities) to do our analysis and to improve our service. This information may also be used for our commercial purposes. · We may use your information in aggregate form for our internal analysis. Your individual information will not be shared with other parties unless we receive permission from you. · We may use your information to contact you, before and on the date of your trip, via email or social medias, such as but not limited to, WhatsApp or LINE. Your information will not be shared with other parties unless you grant us your permission. · We offer additional insurance for your benefits without any additional cost. To be eligible for these benefits, you must provide us with accurate name of at least one passenger. · The third party transportation service providers that work with us are insured according to transportation regulation in Thailand. · Consumption of alcohol is prohibited at all time. · We reserve the right to refuse service if you or your traveling member(s) is/are intoxicated. · We reserve the right to refuse service if we find that you or any member of your traveling group causes any safety or security concern, or annoyances to other customers. · Payment will be subject to local tax, VAT, service charge, where applicable. · Each pin can only be used on the specified date (that you chose when the purchase was made). Changing the date is possible with two days’ advanced notice. If you change the date in less than 48 hours before the specified date, additional fees may apply. · All sales are final. Full refund is possible if you inform us three business days before the actual pin usage date, but 10% processing fee will be charged. If you inform us less than three days in advance, we may consider partial refund on case by case basis. Our decision will be considered final. · You are responsible for protecting your pin, which enable you to access our service. If you lose your pin, please contact our call center. Additional fees may be applied if we have to reissue pin. · You may hop on and off at only our designated pick up and drop off locations. · You will only use our service for lawful purposes. · You may only use this app for non-commercial use, for your personal transportation purposes only. You may not resell, reproduce, create derivative works, or otherwise exploit this application or service unless you receive a written permission from the company. · You must not damage any property of the third party transportation providers, including their vehicles. · All the materials in this application and in our service (excluding third party vehicle) are the property of the company and may not be reproduced without permission from us. · Although we work hard to provide you with accurate information, we are not responsible for any inaccuracies of the opening and closing times of the attractions and the restaurants, as well as the entrance fees. · We are not responsible for the compatibility of your device or for any errors caused by the device hardware or from using the wrong version. · You must have mobile data and you are responsible for the costs of all your mobile data usage and any calls you made. · You are fully responsible for all of your belongings. We are not responsible for any of the items left in the vehicles. · Due to parking restriction, driver may not be able to wait for you more than 10 minutes. If driver has to leave the waiting point, driver may circle around or we will send another driver to pick you up.